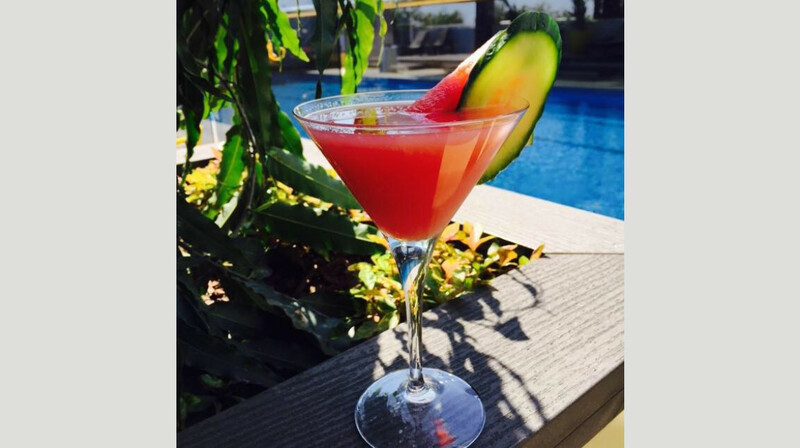 Think fresh seafood and sizzling steaks at Fork and Dagger Grill, famous for its quality meat, buzzing bar and poolside view. We offer an all-you-can-eat Buffet Dinner Night every Wednesday and Sunday Evening! 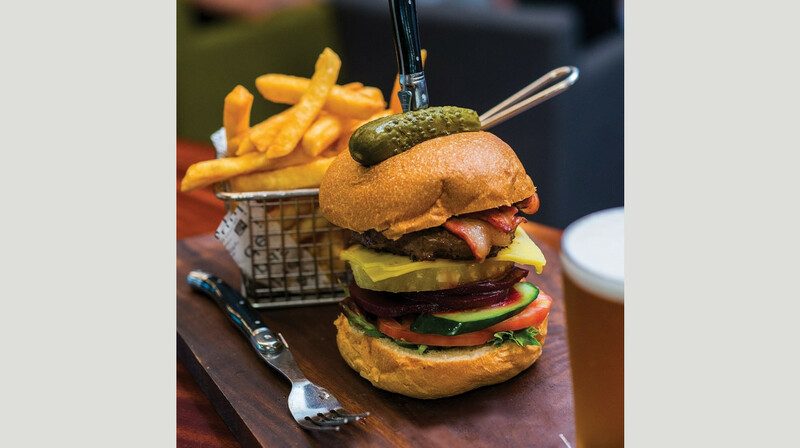 The chefs at Fork and Dagger Grill have reinvented a selection of classic Australian dishes, using artisan produce from local suppliers within the Northern Territory. 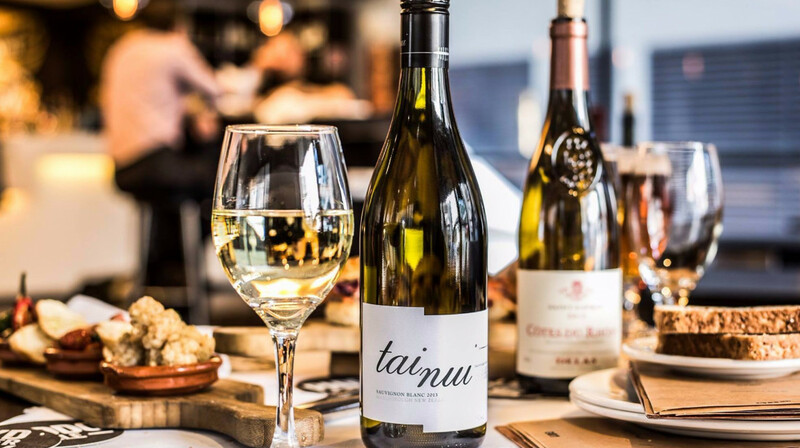 Taste the difference of a 5+ marble score Wagyu rump steak from their grill, or share a platter of signature cuts, like the twice-cooked pork belly with roast vegetables. From the Emerald Valley beef cheeks with truffle mash, to the favourite barramundi with coconut cream, their dishes are a unique combination of the rich flavours, textures and tastes of modern Australian cuisine. 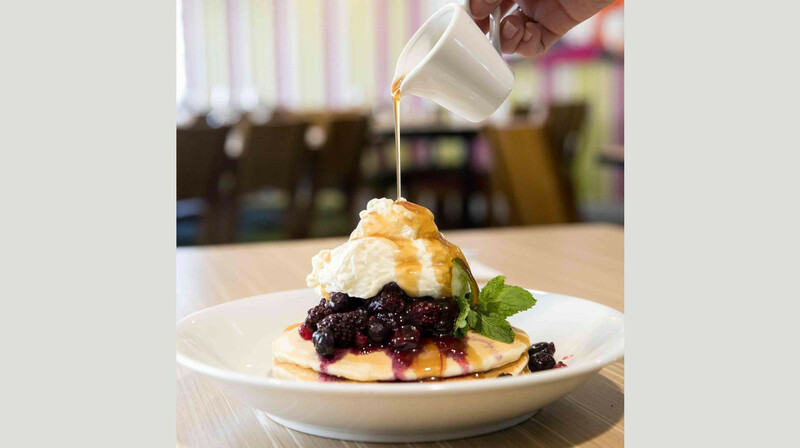 Whether you choose to wine and dine beside the pool, on the deck or in their airy and open plan restaurant, you’ll love the relaxed atmosphere and polished service at Fork and Dagger Grill. 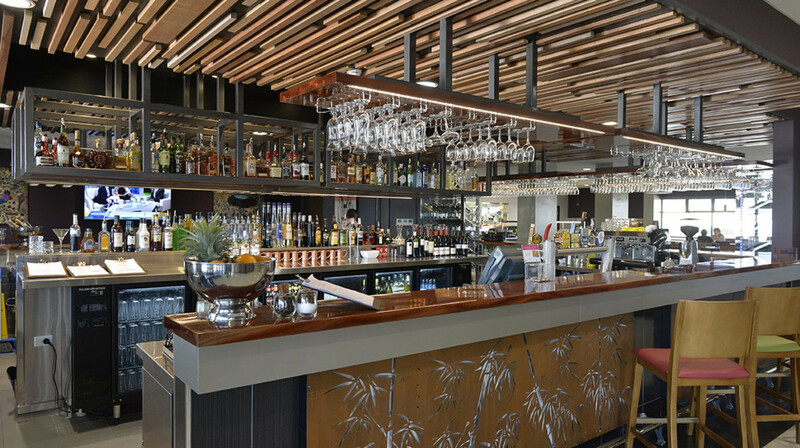 Located within the Rydges hotel in Palmerston, pop by for an exceptional dining experience. **Please note; First Table bookings are not to be used in conjunction with any other discount offers/ specials. Both food and service are excellent! Lovely meal. Great service. I thoroughly enjoyed the evening. Fantastic wait staff great food, tomahawk steak was out of this world. Will definitely be back. Didn't go there with high expectations, as have dined previously and it was average. However I took the family along and we treated ourselves to multiple entrees and then a main each with dessert. Wow! the food was amazing. My husband ordered the 1kh tomahawk steak. Can't whinge at that for half price! My son kept mouthing how good his lamb shank was every 5 mins. We left the restaurant barely able to walk as we were so full. The service by Allan was amazing. Very high standards of customer service and staff etiquette. It has been a while since the family have been treated to a night out and this experience was certainly one of the highlights. I know we would all agree that we can't wait to go back and dine there again! Food was excellent. Accommodating with extra request. We were not sure what to expect as we have had varied experiances in the past BUT this visit was great - although it did not appear to be a busy night, staff still appeared to be providing a high volume of meals to people utilising the hotel. However they were still extremely attentive and the food was awesome! Best meal out in a long time. Great work everyone, we will definitely be recommending to our friends and family. My table of four dining at the Fork n Dagger Restaurant arrived a few minutes early for our booking on Thursday evening and were pleasantly greeted by staff and escorted to our table in the centre of the restaurant. Not having dined here before I was pleasantly delighted by the modern well kept dining room, which made us feel relaxed and ready for our dining experience. Throughout the night the service from all staff was on point and ready to serve whenever required. All meals including entrees and mains were cooked and served very professionally and the steak's were grilled to perfection. No complaints about our food tonight and we would highly recommend to our friends and families that this is a great place to dine. Very satisfying meals, it was the first time in quite some time I was happy to go home without a desert or coffee. Experience was great, nice and quiet when arrived as we were the first ones there and with little ones its nice to get in and get out quickly before melt downs and tiredness sets in as 2 year old don't have the patience to sit around for dinner hence why most of the time its easier to stay home as the thought of going out it daunting but on special occasions like celebrating birthdays it was lovely to go out for dinner and it being a lovely experience for everyone involved. Added bonus it was 1/2 price and for struggling families this is awesome. Winning! Will definitely do it more often in the future. My mother, daughter and I dined at The Fork & Dagger recently and had a wonderful experience. The waitstaff were attentive and friendly, the food was plentiful, well presented and tasted fantastic. Absolutely no complaints and we are all looking forward to returning again soon. Do yourself a favour! Had a lovely time and the slow cooked beef cheeks were beautiful. Service was great manager was very attentive. 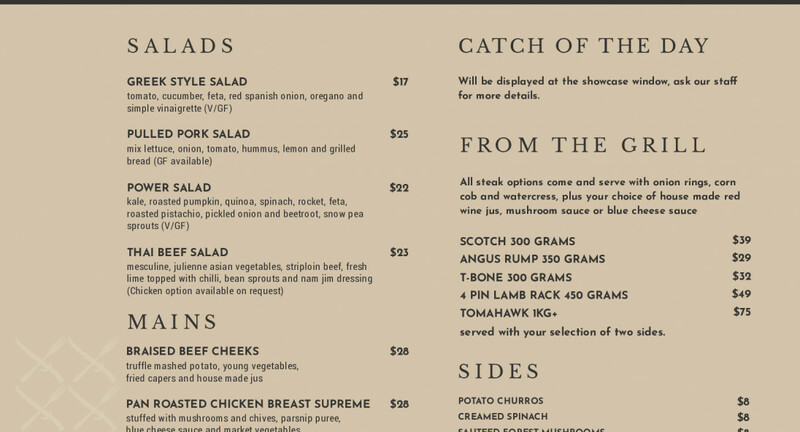 We ordered the tomahawk stake, medium it came out Burt on the outside and rare in the middle. Some areas were ok to eat but the bitter taste of burnt meat was overwhelming. Pasta was great. Great service and venue setting. Great food, everything had a unique taster of its own and big servings. Definitely go again. Had the Mexican buffet. Had a great night with fantastic food. A lot of variety and lovely desserts too. Service was excellent but unfortunately dinner was not, my group started by the pool for drinks and snacks, snack were delicious which had us excited for our meal, we all ordered the surf and turf, steaks all cooked various ways from blue to medium well yet all came out exactly the same.. rare! Prawns were old and all veggies on the plate were cold, the sauces were nice. With only 3 desserts on the menu 1 was not available. 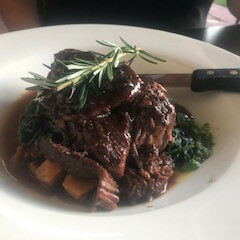 I had the beef cheeks and OMG it fell apart when I forked it! My daughter had the skillet chicken breast, it was dry but her chat potatoes and field mushroom made up for that. Overall great food for the price. We had a lovely swim before our meals, we were a little disappointed that we were unable to order from the menu as they only did the buffet on Sundays. However the buffet was well worth the money, and i loved the dessert tray. 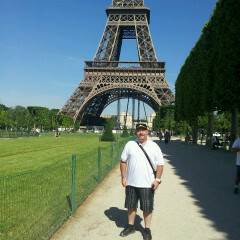 Will definately be back again!! First time dining at the Fork and Dagger. Very quiet setting but very clean. I ordered the chorizo pasta which was ok. Husband had the steak which was perfectly cooked with a nice side of whole baby carrots and baby potatoes. I think it needed something green on the plate but it was certainly to his liking. My toddler had fish and chips which she thought was great. The service was fast and the meal very reasonably priced. We had a great time but the food choices were limited for the buffet compared to other buffet restaurants in Darwin. But the ambiance was great. Overall it was ok to give it a go. We had a lovely dinner. It started off with being greeted by friendly staff who were very professional but warm in their approach. Having eaten at the Fork and Dagger previously we know that they do good steak and this time was no different. I ordered the scotch fillet, well done, and it was perfectly seasoned and tasted beautiful. My husband ordered the signature surf and turf, it looked amazing and was certainly a signature dish. Highly recommended. Thank you to all. The waiters were very friendly and well spoken, service was well timed. We found the food to be of great flavor apart from one dish and told them on leaving they took it on board so hopefully will look into it but the whole experience was fantastic. Nice set up great food and fast service all the things that tick my boxes. Friendly staff , alway prompt. Food was fast and super good .. we have had pork belly and burgers here before and both great !! Service by all staff was excellent, went out of their way in every way. Food was a Mexican buffet which 3 of our 4 guests had, the 4th (a child) doesn't like Mexican food so the chef made some fish and chips which came out quickly and was delicious & plated up lovely. Dessert was lovely, good assortment. Sunday night is a buffet. There was a nice range of options to suit a variety of tastes. The buffet included fruit juice to drink. 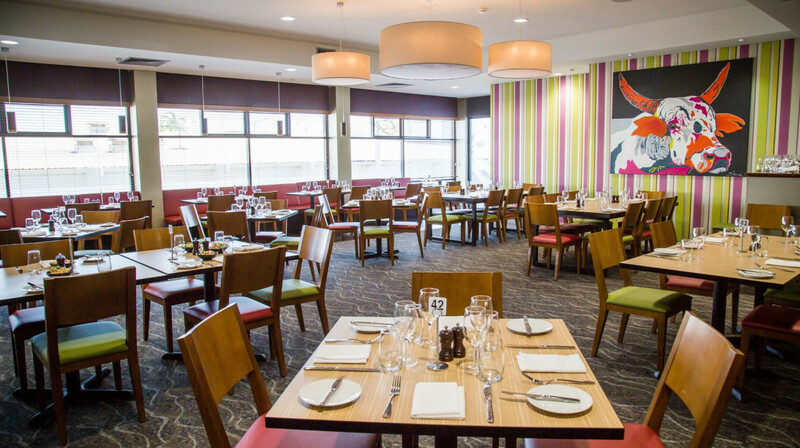 Venue suits a range of diners including families. Pleasant experience!